Ayrmer Software's expertise lies in our ability to interpret your business requirements and provide a bespoke software solution that meets your needs. Our approach is uncommon within Small to Medium sized Enterprises (SME) environment. We approach your software projects in much the same way an architect would; you wouldn't build a house without an architect's input, so why build your solution without a specification that includes well formed outcomes? A specification ensures that all the stakeholders have a clear understanding of the scope of your project and enables us to demonstrate that our recommendations represent the best solution for your business. It significantly reduces costs and enables us to provide accurate time scales for project management, which is essential for the successful implementation of your project. It relies on you and your business investing resources into the creation of the specification, so that we can understand your business and you can be confident that the technical solution will deliver your business needs. Having understood the scope of your requirements, we can provide accurate costs and time scales, often resulting in savings in time, money and hassle during the later stages of development and avoiding "feature creep". Using this approach, you can be confident your expectations will be met and there will not be any surprises! It also allows you the time to fully understand the implications, enabling you to make informed decisions on how best to achieve the desired results. This normally results in far fewer changes made during the development, avoiding costly adaptations and delays (feature creep). It's just one more way that we make complex tasks simple! I am enormously impressed at the level of professionalism that has given me a real confidence that Ayrmer Software will be able to deliver the solution our business needs to move forward. And of course, all our online systems are designed and developed to be responsive, enabling users to access websites and online database systems from any device, be it their desktop, laptop, tablet or smartphone. We've recently launched two systems; the first (shown above) is a responsive, multilingual, e-commerce website for SJ Sports Cars and is their second generation of the business's website, following the successful launch of the original website design and developed by Ayrmer Software in 2009 that has enabled the business to grow on-line sales significantly over the last 8 years. The new website has seen a 65% increase in traffic and a further increase of 56% telephone calls since it was launched in August. 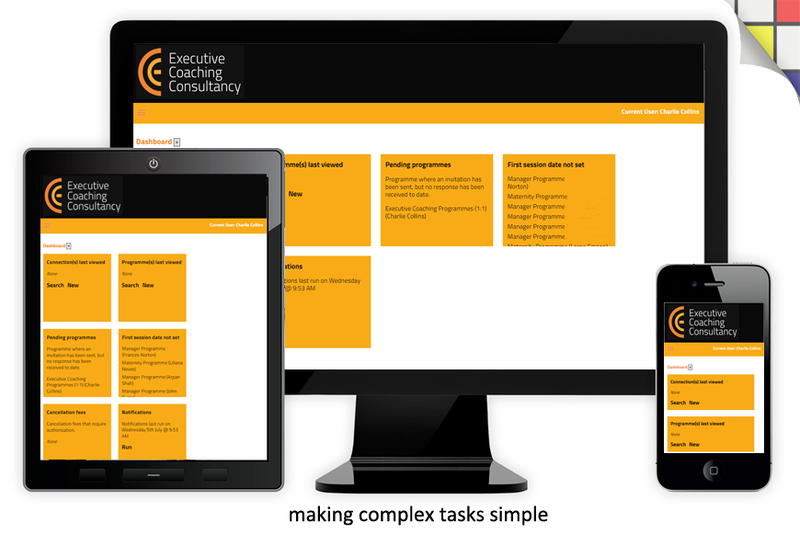 The second system is a coaching management system that The Executive Coaching Consultancy uses to manage one-to-one coaching and workshops, ensuring busy coaches can retreive information about their coaching appointments and feedback to their support team, based in Shoreditch, in London. 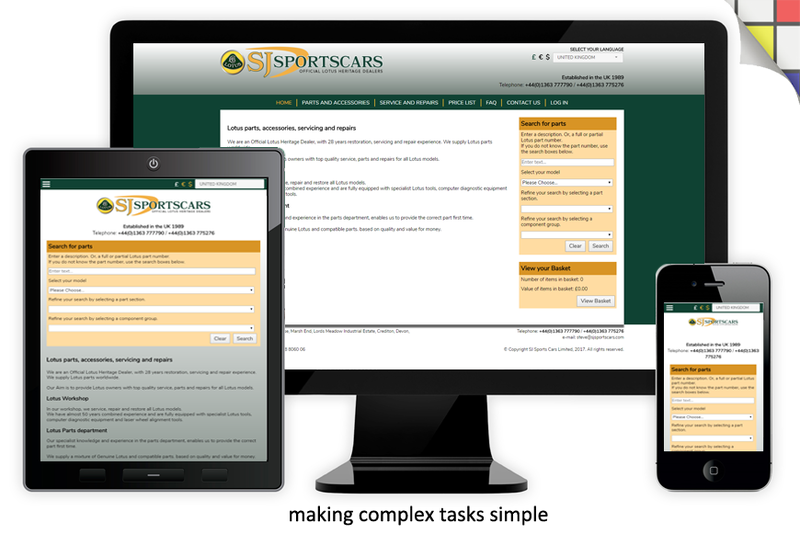 The coaches access information on the move and have a slimmed down version of the system accessed via smartphones that enable them to confirm coaching appointments. The system was launched on 3rd August, after completing the data migration from their legacy system and we continue to provide on going development and technical support to ensure the bespoke software solution continues to delivery efficiencies throughout the business. 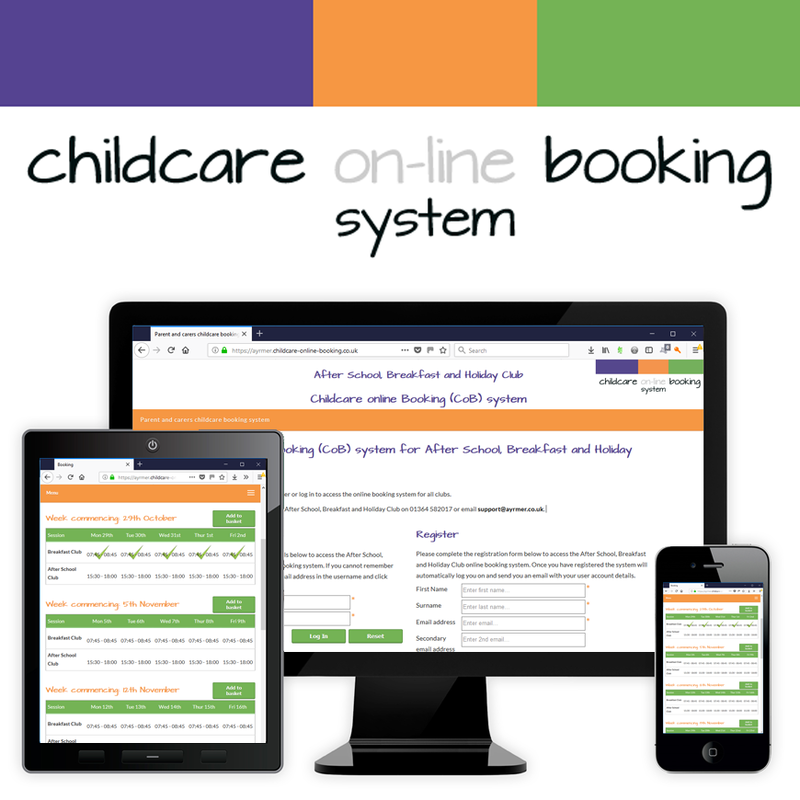 We've also built a booking solution for wrap-around childcare providers, running out of school childcare - breakfast clubs, after school clubs and holiday clubs - the is designed with both parents and childcare providers in mind. Based on a bespoke solution we developed for Fun in School Holidays (FisH) in 2011, we launched an off the self solution in January 2016, having rebuilt the solution from the ground up. We've worked with childcare providers, schools and academies since 2004, when we developed an admissions system for Mossbourne Academy in Hackney and have gone on to work with hundreds of academies and schools, before working with privately run childcare providers across the United Kingdom. We now support over 209 settings across the UK and have processed over twelve million pounds since its launch, on behalf of our childcare providers. Ensuring your website content is up to date is essential these days and there's a raft of different options. Find out more about content management systems here.